Originally from the ancient mythical island of Atlantis, Nicholas has spent the last year deep in the mountains of Maine, serving as Director of Security for the Nova Mare and Inglenook resorts. Fully embracing his life in the twenty-first century, he finds himself irresistibly drawn to a trouble-prone employee, and is determined to keep her safe. 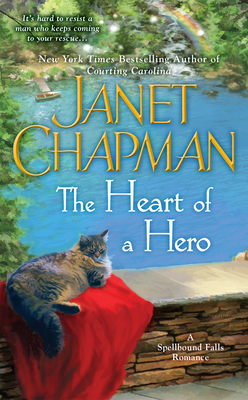 Janet Chapman is the author of twenty contemporary and paranormal romance novels, all set in the state of Maine, where she lives with her husband, surrounded by wildlife. Best known for her magical Highlander series (a family saga of twelfth-century warriors rebuilding their clans in modern-day Maine), Janet also has several contemporary series set on the coast and in the mountains. With more than three million books printed in six languages, her stories regularly appear on the New York Times and the USA Today bestseller lists.